(2) Second fill BSPHCL online application with GATE-2019 registration number. is there any confirm source who can give information that BSPHCL will recruit through GATE 2018 and what is the no of seats for computer science engineer as well as electrical. This information can only be obtain from BSPHCL office. You can file RTI for getting such information. 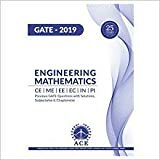 Sir can you tell me how in bshpcl gate score will compare between 15 and 16. They do not use any formula. They will just count your GATE score out of 100 which will not depends upon year. Can u tell me expected cutoof for electrical general and obc. 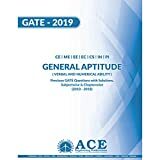 Cut off depends upon many factors like number of candidates appear in GATE exam, difficulty level of GATE paper, number of seats in each PSUs. You can get some idea from previous years cut-offs but you can’t get some certain cut-offs. I hope you are understanding.